Sunday, September 27: 13.34 miles in 2:12:34 for a 9:55 pace. 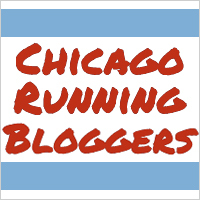 Chicago Half Marathon by my watch’s (generous!) stats. Wednesday, September 30: 6 miles in 1:01:36 for a 10:15 pace. Thursday, October 1: 4 miles (tempo) in 38:43 (9:00 and 8:53 [!!] tempo miles) for an overall 9:40 pace. Once again, the wind was bonkers on this run, but I was SO happy with how things went! My last tempo mile was entire into the wind, so to bust out an 8:53 was the perfect way to end speedwork for this cycle. Next week (this week, but the time you read this) will be all easy runs, so I wanted to close out my speedwork on a good note, and this tempo run accomplished just that. Went to the podiatrist for a followup appointment. She was all panicky about my foot, which put me in a foul, anxious mood. Saturday, October 3: 8.21 miles in 1:23:19 for a 10:08 pace. Yikes. Fortunately AccuWeather overstated the rain situation, and it actually only drizzled for maybe a total of 10 minutes. The WIND, though. Oh. My. Gosh. I obviously didn’t measure it, but the forecast said we could get up to 40 mph gusts, and I wouldn’t doubt that, especially by the lake. It was absolutely freezing and so, so windy. We ran fairly fast, as you can tell by our average pace, but meh. Whatever. An eight miler feels so insignificant at this point, and it was cold enough that I could handle a quicker run. My podiatrist put me in a funk on Friday that all of my taper negativity and anxiety immediately latched onto. My foot, for the most part, had been fine. Maybe it felt a little off every now and again, but I haven’t had trouble running, even if it has “hurt” (“hurt” being a generous word for it: “ached somewhat” would be more accurate). My podiatrist, however, freaked out that I hadn’t been wearing my night splint (which, as we previously established, did more harm than good) and then got all up in arms over my foot feeling tight (never mind the fact that she only felt one of my feet, not both of them, so I don’t know what she was comparing the feeling to, since she clearly didn’t have a Bethany baseline to work with). I feel like she’s making a mountain out of a molehill, and I STILL don’t really think I have plantar fasciitis, since I continue to have exactly zero standard symptoms of plantar fasciitis, but at the same time, she’s the doctor, so I’ve been freaking out over worrying that she IS right, and I’ve just got my head in the sand. It has hurt a little bit more lately: am I just hyperaware of it, or is something going on? What if it DOES get bad during the marathon? What if this ruins everything?!?! These are the thoughts tormenting my brain at the moment, and I imagine will continue to torment my brain until just about this time next week. Taper is a helpful scapegoat to blame literally everything on right now, of course, but I do wish my mind could settle down over all this nonsense in the mean time. The wind was NUTS this weekend by the lake! Did you see the crazy waves? I sort of saw them. We weren’t down by the beach really, but at certain points you could look down the path and see them. Looked pretty wild! All of our niggling aches and pains are amplified during taper. I usually find that once the marathon starts I forget most of those aches and pains after a couple of miles. Then near the end of the race, something random happens to a part of my legs that had never given me issues up until that point. Then I just have to put my head down and run through it! That said hope everything clears up for you this week! Why does taper have to be so mentally difficult?? Haha. I feel like my brain has found every single little problem, ache/pain or otherwise, latched onto it, and made it a zillion times bigger, and I’m blaming all of it on taper. Soooo ready for this to be over with. GAHHHHH TAPER. Can this please be over? I feel like I’m dying and sore and I’m broken (okay I’m exaggerating) and I’m STARVING this week. I guess that means I should start carboloading. I keep telling myself it will all go away once I’m on the starting line. Yeah, tell me about it. My stress and anxiety level is through the roof. I cannot wait for this to all be done with. Haha if I get one, I will! It’s definitely not as impressive as what you see on YouTube, though! oo i like that yoga video!! thanks for sharing that. and ughh i find that the wind ruins ALL runs, and 40 mph is insane. i live right beside Lake Ontario and the wind is 4x as strong as it would be in the city. The worst!! Running along the lake is terrible when it’s windy! It’s fun to see the waves, but man, the price you have to pay for those cool sights is barely worth it haha. So maybe you need more of those sole stretches! Just kidding (it’s probably not even be related to your foot pain anyways)! I freaking hate those! My feet are incredibly tight. I don’t know how people can look so relaxed in that pose. Also yep taper always brings out the worst of my doubts. It’s like you have a little too much extra energy that you focus on your own body feelings and turn all those tiny little tingles into real pain. Yuck. Seriously! They must do them every day or something. I can never hold it for as long as the video asks me to. YES! That’s all exactly right. I have so much extra time right now to obsess over every little thing. I’ve had no less than three stress fractures today, in fact. Hahaha. Cannot wait for taper to be over.